As 'Politico' reasons, A General Election may now be the best way out of the political impasse that has paralysed British politics. John Redwood does the maths that demonstrates the impasse. Mandarins have been put on alert for a snap election, and cabinet ministers have already secretly warned their constituency chairs. A rapid Brexit election would kill calls for a second referendum - which would take many months to arrange, if agreed, and would also - with luck - break the stalemate in the Commons. The key question for the Conservatives is who will lead us in an election? Certainly not Mrs May. She has the emotional intelligence of a robot with Asperger's, and is simply unable to connect with voters. She appears insincere even when she's being sincere. And for me, will I as a member get a chance to vote for a new leader, or will this be another Parliamentary Party stitch-up? 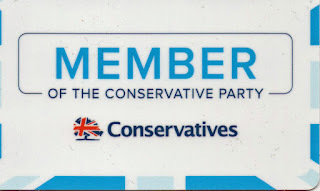 For I give a helpful and constructive warning now, that unless a candidate favoured by the Party as a whole is dropped into the vacancy, there will no longer be a Conservative Party. A new Conservative Party in which Nigel Farage could find a home, a reforming and forward looking party, would emerge - and would garner members, backers and support rapidly. 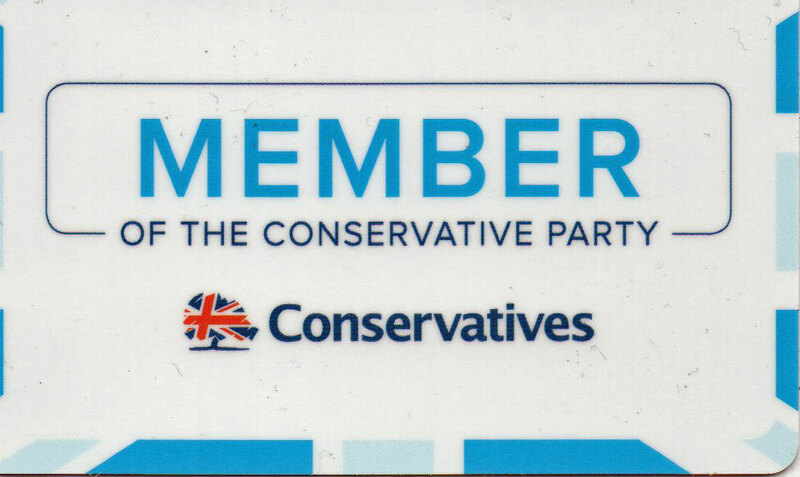 I am loyal to the Conservative Party, but that loyalty must be reciprocal. If the Parliamentary Party continues to ignore, frustrate and oppose the will of the vast majority of Party members, it will be crushed. For now, look to your constituencies and prepare for a Brexit election - with one candidate to stand, and one only, in each constituency as the Pro-Brexit candidate, be they Conservative, UKIP or Independent. A liaison group must be effected rapidly to ensure this is done - we cannot afford to have the Brexit vote split. Farage, Hoey - "The Great Betrayal has begun"
Both Nigel Farage and Kate Hoey have now spoken authoritatively confirming that the destruction of Brexit by the Patrician establishment is under way. The destroyers have an end game in sight, and will ensure that the biggest ever democratic vote in British history is overturned. 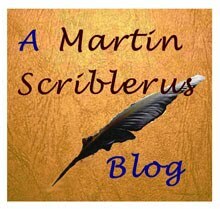 However, if anyone seriously imagines that after a brief spell of upset, everything will go back to normal they are deluded. Britain is now changed for ever - we are a different nation to that which went to the polls in 2016. The EU too is much changed; their naked ambition for an army now clear, as for a central ministry of finance, for all the laggards that are not yet in the Eurozone to be forced to switch to the Reichsmark, and for an even greater power-grab from the nations of Europe than ever before. If Brexit is finished, the EU with which we are being forced to conjoin, like a slave forced in concubinage to the Master's son, is not the one we voted to leave. Many Remainers will be shocked and appalled at the result - but they will have done the deed. I have no doubt that this shotgun second-wedding would be short lived. Within a year or two, when the chains of serfdom have bitten, if the EU had not then collapsed from internal dissent, we will decide overwhelmingly, for the second time, to leave. And next time there will be no mistake. But the economic, social and international damage to Britain will have been done. We will have lost years of opportunity, even more of our institutions will have been destroyed or corrupted. We will look across Britain and see the barren, hungry, cursed and divided land that blighted Europe following the Thirty Years War. That will be the result of destroying the first Brexit. With revelations in the Telegraph of Hammond's conference call with the global corporates just two hours after Parliament's rejection of the Robbins-Selmayr Treaty, assuring them that the government would continue to scupper and sabotage Brexit, comes confirmation that not only a Remainer Parliament but a fifth-column Remainer government have turned their backs on the people of Britain. This is a fight for liberty not only from the Imperial zealots from Brussels but from our own corrupt and anti-democratic establishment. However, Hammond and those of his ilk may be dissappointed by the masters they yearn to serve so slavishly in Brussels. It's emerging that they don't want us back. Not only do they not want Nigel Farage back in the EP in July, at a time when they will be contending with a surge of grass-roots democracy throughout Europe challenging the cozy and corrupt chumocracy, but they don't want a divided and disruptive UK in which more than 20 million voters now regard the EU as more lowly than a snake's belly. While Hammond has provoked the question of whether he is in government for the good of the people or as the tool of the globalist corporates that would no doubt reward him well when he has outlived his use, he cannot be so sure that the EU will actually accept the extension of Article 50. And this could end Brexit. For if the EU reject a request for an extension May could be forced both by Parliament and the grey men of the deep State to cancel Article 50 altogether - Britain's unilateral right. A second referendum to reverse the first would then doubtless be ordered, this time with all sources of funding for 'Leave' neutered and an even greater official bias and advantage for 'Remain' engineered . (Dominic Grieve) is far from alone and the arguments used more than a century ago to deny the working class the franchise have returned to disenfranchise them over Brexit. Instead, Parliament is changing procedure in order to get an outcome that MPs feel they can’t get in any other way. But rules exist for a reason. In times of crisis they define the known parameters to resolve disputes and reach consensus. Starting to tear up the rule book is the path to anarchy. The country is split down the middle over almost every aspect of Brexit, with one notable exception: two thirds of voters say that when Brexit is complete, “the UK should try to become the lowest tax, business-friendliest country in Europe, focused on building strong international trade links”. This is also the majority-held view across all age groups (18-34 56%, 35-54 60%, 55+ 77%) and political affiliations (including 54% of Labour voters). And that's the future. Internationalist not globalist. Hammond is the past, and is backing a dying horse. Don't let him throw the nation's wealth away backing a loser. They think it's all over .... 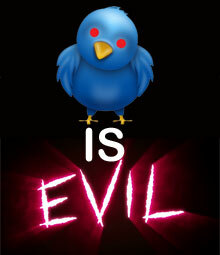 It is now! Well, we wanted a stake through the heart of the Robbins-Selmayr treaty, and that's exactly what Parliament has delivered. They will be weeping into their beer in the Berlaymont tonight. We're in uncharted waters here. Right. I'm going to drink a bottle of Prosecco, play some loud music and maybe air guitar. Ahem. 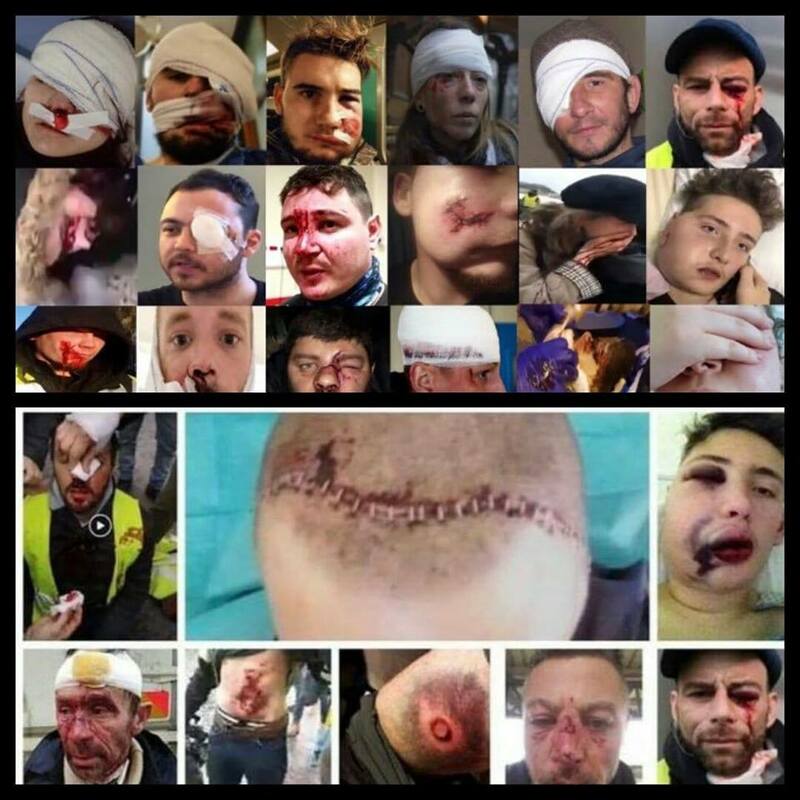 Since the beginning of the Gilets jaunes protests in November, reports Liberation, 93 protesters have been seriously injured by the French police, 13 of whom have been blinded in one eye by the careless use of 'flashballs'. Press reports are showing pictures this morning of police being issued with automatic assault rifles. It can surely now be only a matter of time before the police shoot dead their fellow Frenchmen and women. Older readers may recall the shootings at Kent State University in 1970, in which four protesting students were killed by the National Guard, and which traumatised a nation. 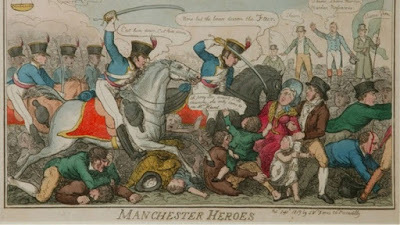 And many more younger people in the UK today will draw a direct parallel to the Peterloo massacre in 1819, at which 11 were killed by Yeomanry. Mike Leigh released a film about it last year; few would imagine that Macron now fills the role played by William Hulton two hundred years ago. Street protest is the French way. In Britain we have been lucky in that parliaments and governments have usually eventually listened to the voices of the people before blood was spilled. But Peterloo was an exception. Let's hope and pray that we don't breed our own Macron here - a violent and authoritarian man prepared to use extreme measures to retain power - nor ever again see a Peterloo. This is a filler post until the conclusion of the Commons vote tomorrow. As debate continues in the House, we must look forward to the UK's role in the world post-Brexit - and start to identify those characteristics of our national economy which most drag us down. A useful tool is the WEF's 2017/18 Global Competitiveness Report. 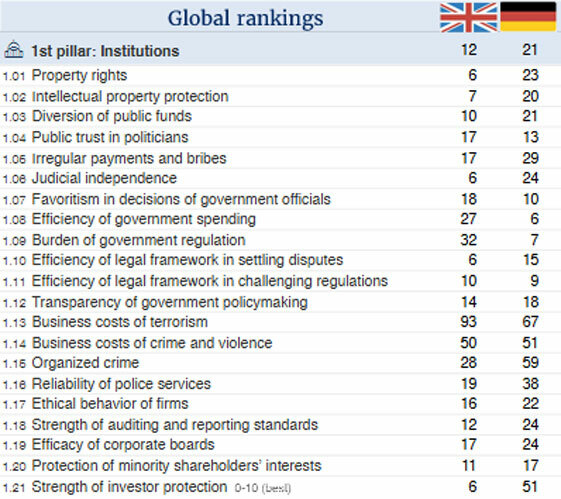 For starters, I've pulled off the rankings of the UK and of our closest competitor, Germany, in the field of Institutions. Well, we rank much higher than Germany overall - 12th to their 21st - but we could do a lot better. In terms of legal rights - investor protection, property rights, judicial independence - we're way ahead. Giving investors confidence that the State won't seize their wealth on a whim is a sound foundation. However, there are three key indices that completely drag us down. 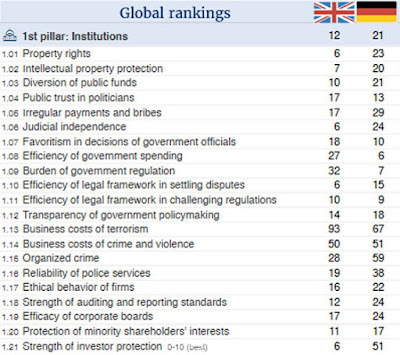 Government favouritism (pork barrel corruption), government efficiency (27th globally compared to Germany's 6th) and the burden of government regulation (32nd globally to Germany's 7th). 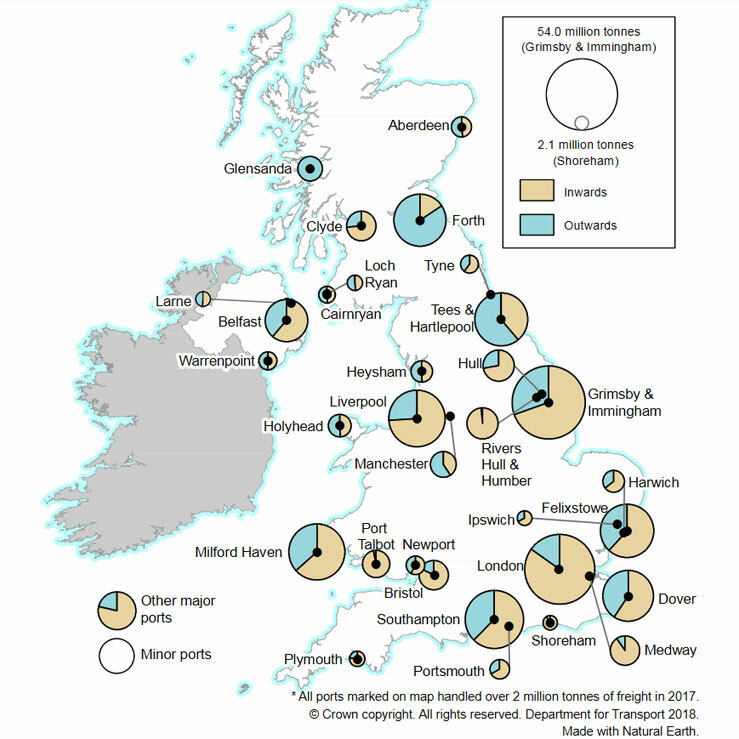 My own view is that the drag of government on the nation's output is due to our highly concentrated central State. Whitehall wants to control and micromanage everything, but does so badly - and as a consequence economic efficiency is badly impaired. The other index that lets us down badly is trust in our politicians. Britain's politicians are trusted less than 16 other nations. Of course, this was compiled before their disgraceful behaviour in Parliament over Brexit. Today it must be off the page. There is a remarkable consensus as to what MPs must do tomorrow evening. The weekend's final spasms of government frenzy in seeking to terrify Conservative MPs barely lasted past Sunday lunchtime - the story of the Chief Whip stumbling across a dastardly plot in the cloakroom, as Boris Johnson puts it in the Telegraph, "like Jim, the narrator of Treasure Island, who overhears the conspiracy of the pirates while hiding in an apple barrel"
The call now is not just for MPs to defeat the Robbins-Selmayr Treaty tomorrow, but to do so demonstrably, driving a stake through the heart of Martin Selmayr's plot to split Northern Ireland from Britain. After tomorrow? Who knows. Corbyn has declared he will call a vote of no confidence in the government. He is likely to lose it, but if by some chance he gains the needed two-thirds majority, it would mean a General Election on Thursday 21st February. Other desperate Conservative Remainers are doubtless plotting puerile public schoolboy tricks, with little notion of the fury they will unleash amongst the 17.4m, who have to date proven remarkably patient, well-behaved and responsible in the face of naked anti-democratic sabotage. (4) that we are going to intensify preparations for no deal – in the knowledge that it is by preparing for no deal that we are likely to get a very good deal. Not my favoured Clean Brexit, but a pragmatic 'well, we did offer ...' solution that I'm sure Brussels would reject, giving us a Clean Brexit by default. Amidst all the hysteria from those who should know better, all the shrieking and foot stomping that Dover, as the UK's principal port, will be rendered into stasis by 200 mile long queues of trucks in the event of a Clean Brexit, comes a simple and informative briefing from the government. Now I have to apologise to the myriad ranks of mid-level civil servants here, dedicated and professional. They lack the anilingual abilities, mendacity and hypocrisy of those destined for permanent secretaries, but their straightforward research and inherent honesty has built up a dam of information that has been held back by their bosses, such was Mrs May's determination to restrict any useful information that would weaken the Robbins Treaty. From such internal censorship grew myths such as Dover.